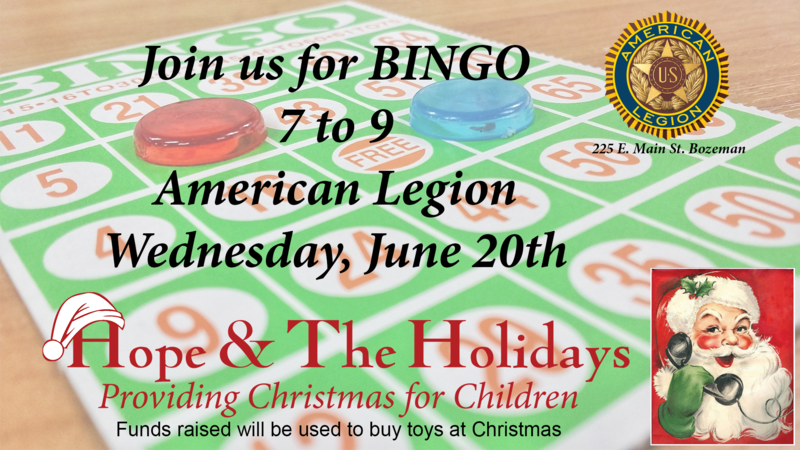 Come join Hope & The Holidays for BINGO at the American Legion. 10 games of various patterns (X, A, corners), $1 per card for cash prizes. The final game is a blackout game for $2 a card with an even larger pot. Proceeds from the even goes to buy toys for kids in the Gallatin Valley.